Nürburgring. BMW teams competed with nine BMW M6 GT3s in this weekend’s 6-hour qualification race, the dress rehearsal for the Nürburgring (GER) 24-hour race. Three cars ended the race on the Nordschleife in the top 10. Three BMW M6 GT3s also claimed their places in the top 30 qualifying in a bit more than four weeks. The qualification event for the Nürburgring 24-hour race was a close affair: the best-placed BMW M6 GT3 was less than one minute behind the victorious Audi after six hours of racing. The first 13 cars were only separated by three seconds in qualifying. It all points to a thrilling battle in a bit more than four weeks, as the iconic endurance race takes place on the Nordschleife for the 45th time on 27th and 28th May. The #99 ROWE Racing car, with Alexander Sims (GBR), Philipp Eng (AUT), Maxime Martin (BEL) and Marc Basseng (GER) at the wheel, was the best-placed BMW M6 GT3 in sixth position. Jens Klingmann, Jörg Müller (both GER), John Edwards (USA) and Tom Onslow-Cole (GBR) from Schubert Motorsport, and António Félix da Costa (POR) and Alex Lynn (GBR) from BMW Team Schnitzer followed close behind in seventh and eighth places respectively. The second cars from ROWE Racing and the BMW Team Schnitzer finished in places eleven and twelve. 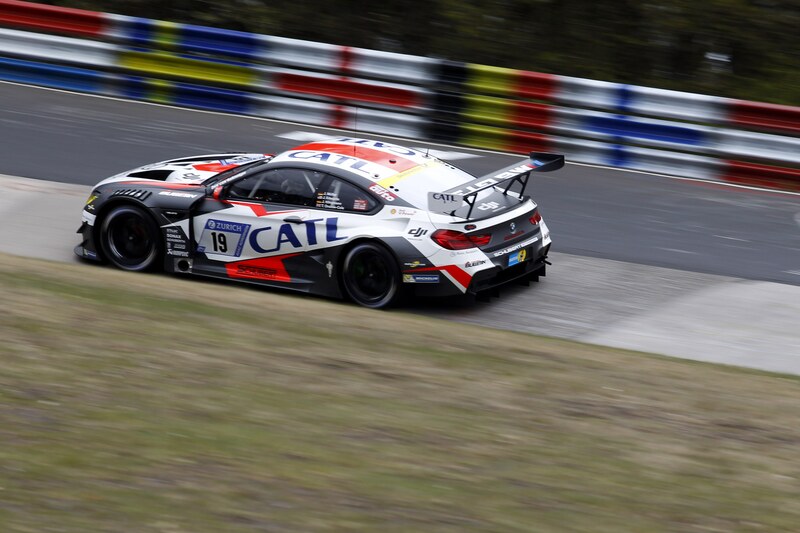 The #101 BMW M6 GT3 from Walkenhorst Motorsport finished the race in 18th place. The #100 car from the same team and the #33 BMW M6 GT3 from Falken Motorsports both had to retire after an accident. The second Schubert Motorsport car suffered from technical problems. Before the race, three BMW M6 GT3s had secured starting places in the top 30 qualifying for the 24-hour race. This weekend, just the top 10 from qualifying and the top 5 in the qualification race were awarded one of the sought-after spots in the individual time trials for the best starting positions in a bit more than four weeks’ time. The #100 from Walkenhorst Motorsport (position 3), the #33 from Falken Motorsports (position 6) and the #42 from the BMW Team Schnitzer (position 9) were able to reach that target. All other BMW crews will have the chance to be included in the top 30 qualifying on the weekend of the 24-hour race.